You must fully complete the online booking form on the MSL Tours website. Once completed you and MSL Tours will receive confirmation on your booking by e-mail. You must then pay your deposit to secure your place on the Tour. 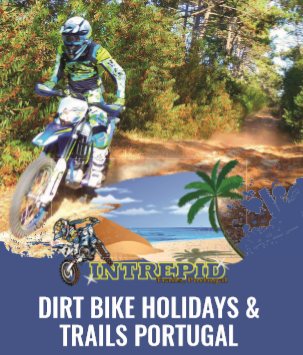 All Tour deposits are £95.00 per person (except where indicated) and are non-refundable. Payment by credit or debit card is accepted securely (online only). Payment by bank transfer to account; MSL Tours, Lloyds Bank Ely, sort: 30-93-05, account: 01097575. Cheques should be made payable to; ‘Motorcycle Sport and Leisure Tours Ltd’. You will receive a Tour Invoice with a Tour Briefing and full schedule no later than six weeks before departure. Full payment for the Tour must be received at least four weeks before departure. MSL Tours reserves the right to cancel a guests booking if payment has not been received prior to departure. The 1992 Package Travel, Package Holiday and Package Tours Regulations require all holiday organisers to make provision for the protection of holidaymakers’ money in the event of the company’s insolvency. EUR/GBP. We reserve the right to make a supplemental charge to the tour price on any euro related tour costs if the EUR/GBP rate falls below parity at the time of payment for these costs. Other CCY. Rates are calculated for the Tour price in September from the previous year. We reserve the right to make a supplemental charge to the tour price if GBP devalues against the CCY concerned by more than 2.5%. In possession of full insurance (fully comprehensive or third party) cover for their motorcycle. A current full UK or Irish motorcycle driving licence. A current MOT certificate (if applicable) and the vehicles V5 certificate of ownership. Breakdown assistance within Europe including repatriation to the UK if your motorcycle cannot be repaired. Emergency medical treatment including rescue services to take you to hospital and repatriate you to the UK. Insurance cover in case of cancellation or unforeseen delays with the tour. Each participant is responsible for being in control of their machine at all times, for riding their own ride, within their own limits, those of their machine and the law of each country. Each participant is also fully responsible for the safety of their pillion passenger. MSL Tours accepts no liability for the individual actions of a guest, for whatever reason, whilst they are on our tour with the company. Any incident or accident that happens to a participant or their pillion will never be put on the organiser’s responsibility. When a motorcycle is out of order (either mechanical or due to an accident) the repair or recovery is the responsibility of its owner. If for any reason a participant decides to leave a tour before the end of the tour schedule then there will be no refund of monies. MSL Tours and their authorised representatives reserve the right to ask a participant to immediately leave a tour if they decide that their actions have or may either endanger, break any law or cause any offence, of whatever nature to other members of the Tour group or any other person. Any participant asked to leave a tour will then be fully responsible for their own welfare; accommodation and transit back home to the UK or Ireland and will not be entitled to any refund. It may be necessary to some make changes to the schedule of a tour, and we reserve the right to do this. This will only happen when operational circumstances or unforeseen events occur beyond our control. If the changes are more significant than a change in transit hotel, such as a change of departure time or tour location hotel then we will advise you as soon as we are aware of the circumstances. We will ensure any accommodation that needs to be re-booked will be as good as or better than advertised in the tour itinerary if we do need to make any changes. eight weeks prior to departure; we will refund you 100% on the cost of the tour, less a £75.00 administration charge. four to eight weeks prior to departure; we will give you a 50% credit (valid for twelve months) towards the cost of another tour. less than four weeks prior to departure; zero monies will be re-funded. all Tour deposits paid are non-refundable, unless we cancel the tour. We reserve the right to cancel a tour if there are not sufficient numbers to make it commercially viable, in which case we will offer you a full refund of monies paid, including your deposit. We will give you at least two weeks’ notice if we decide to cancel a tour due to commercial viability reasons. MSL Tours accepts no responsibility for any loss incurred by you as the guest once monies that may have been paid by you are refunded. We cannot be held responsible for any unforeseen delays to your journey whilst on the tour, this also includes ferry departure times and other events outside of our control. In the case of any delays outside of our control you are responsible for providing your own subsistence, accommodation and if necessary your own onward travel arrangements. You are therefore advised to ensure that you have the required insurance cover. You are strongly advised to arrange emergency accident, breakdown and repatriation cover for your motorcycle together with personal medical cover for your or your repatriation in the event of illness or accident for yourself and your pillion. (See Your Responsibilities). Check that your insurance covers abandonment and cancellation of your tour. Each person is advised to carry the European Health Insurance Card (EHIC) which will give you basic medical cover free within the European Union, however in the event of serious illness or accident it will not cover you for medical or repatriation costs. Any part of the tour programme booked by us, where it is within our control, to ensure that it meets the standard described in the tour itinerary. We cannot be responsible for any amenities being out of order or weather conditions which may affect the ability to ride on some roads designated in the tour itinerary for safety reasons or that result in the closure of some roads. If a service outside the hotel is included in the tour itinerary but is affected by weather conditions or other factors beyond our control it may have to be cancelled but every effort will be made arrange an alternative excursion or service to satisfy the itinerary. Death, personal injury or illness caused by activities in which a participant engages in the itinerary of the tour provided by MSL Tours. You are responsible for the safety of yourself and pillion at all times, we accept no liability for you or your pillion through any activity that you or your pillion engages in whilst you are on tour with the Company. We do not lead or guide any tours unless otherwise stated in the tour itinerary. If a Tour Associate happens to be informally leading a group of guests through invitation, then there is no responsibility on our behalf for the ultimate safety of the group. You are responsible for riding your own ride and being in control of your bike at all times. This includes ensuring that you are able find your own way to the destination if the group becomes separated from the Tour Associate or each other. We cannot be held responsible for any differences that occur in individual riding plans whilst riding in or leading an informal group of guests for whatever reason. Sometimes vegetarian diets present problems for our hotels, we do advise them of individual requirements but it is not always possible to meet special dietary needs and in that respect we cannot accept any responsibility. If you do have a special dietary requirement you must advise us at the time of your booking. You and your pillion need to be holders of a British or Irish passport. If you or your pillion holds any other country passport then a visa may be required and you should contact the appropriate authorities before travelling with us as this is not our responsibility. A copy of our Health and Safety and Risk Assessment Policy is available to view on request. You will receive the support of an MSL Tour Associate who will ensure that things run smoothly on your trip. We are not obligated to lead or guide groups, you are ultimately responsible for your own navigation and planning, however you are welcome to ride with us at our pace if this is possible. We will be happy to assist with the planning of your tour and will therefore share our GPS transit and ride out day files (using MyRoute-app as the format to plan the routes) with you, if required. We accept no responsibility for any errors with these files and are not obligated to provide individually bespoke transit or ride out day files. All MSL Tour Associates are Emergency First Aid at Work (EFAW) Level 3 First Aid (certified) and Biker Down (qualified) and will be there to assist you in case of an emergency or breakdown, until you are in safe hands. Our MSL Tour Associates will be on hand to enhance your touring experience, to ensure that we all have fun and to resolve any problems on your behalf. However you agree as a guest to be in charge of your own bike and pillion at all times, to ride your own ride, within your own limits, the limits of your bike and those of the law. You acknowledge that your safety and that the safety of others on the road is paramount and that you have read and agreed with our full terms and conditions and understand and agree to comply with the terms of the Tour Briefing and Declaration. A copy of which will be supplied to you with your tour invoice or on request. We will not make refunds or compensation payments under circumstances beyond our control. Such circumstances or events include, threat of war, riot, civil strife and unrest, industrial dispute, unavoidable technical problems with transport, closure of ports or hotels, port congestion, travel delays, civil action, terrorist action, fire and adverse weather conditions and the inability of MSL Tours Tour Associates to manage any tour due to injury or illness.